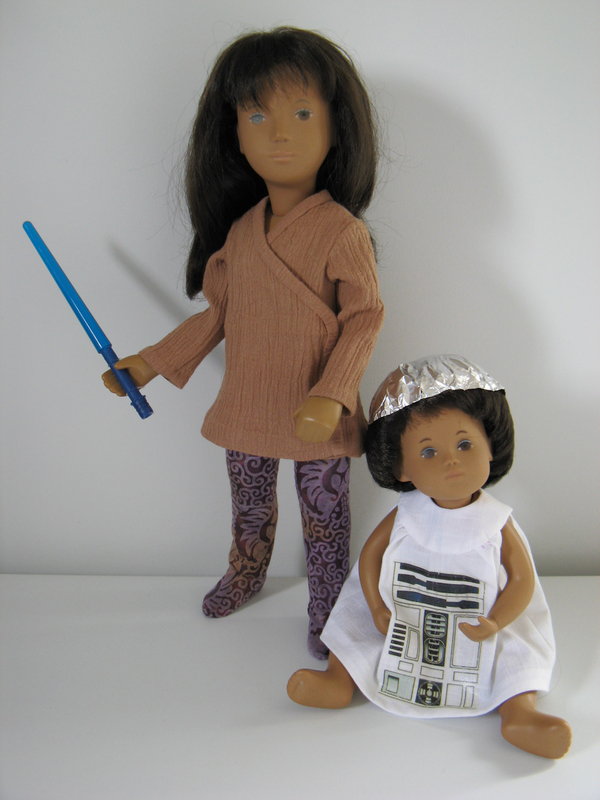 Sasha and Lexi (Baby Sasha) are enjoying themselves in full Star Wars regalia, how about you? Sasha’s lightsaber started out life as a paintbrush handle. Lexi’s dress is rather obviously modeled after these delightful toddler dresses. The foil hat was John’s idea.